Saffron House is a friendly & comfortable family run guest house, Built during the 17th century it was originally a farmhouse which still retains much of it's charm and character. Set in an elevated position in south facing gardens with a large decked area and adjoining outdoor pool, where you can relax and unwind with a drink from our licensed bar or on cooler evenings there is a large lounge where you will find games, books and dvd's for your use. 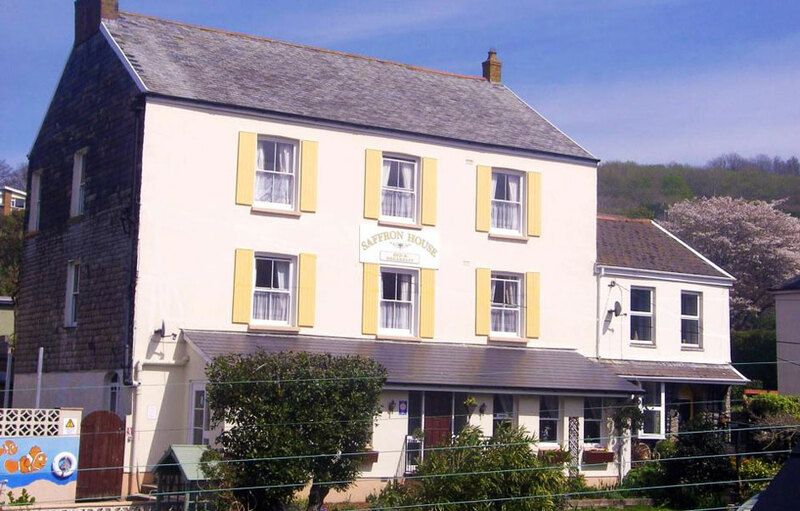 The private car park situated at the front of the house which leads down to the main road, from there it is a 5 minute walk down to Combe Martin Bay where you can explore the many rock pools and seek out the local pubs and gift shops. Our accommodation comprises of a variety of en-suite rooms ranging from single, twins, double & family most of which have picturesque views of the surrounding countryside, all rooms are provided with towels, toiletries, hairdryers and tea/coffee tray. We also offer an evening meal menu and a pack lunch menu for your journey home or those long walks!